LAFAYETTE, Ind. 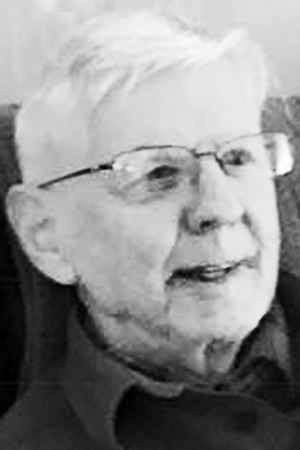 - Robert E. Jude of Lafayette, Ind., passed away on Aug. 23, 2018, in the early morning at St Mary's Healthcare Center. Robert spent most of his life in the Maine. Robert was born in Brewer and attended and graduated from Brewer High School. He lived most of his life in Kennebunk and Lyman, Maine. He is survived by three children: Robert of Lafayette, Ind., Sherry of North Port, Fla., Shelly of Cary, N.C.; a sister of Scarborough, Maine; and five grandchildren. His death was preceded by his late wife Suzanne (Morin) of Lyman, Maine. He worked for the Kennebunk Police Department during his early years, where he earned the rank of lieutenant. He worked for several companies over the years: RJ Reynolds, Coca-Cola, Orkin, and finally, Owens Corning where he retired in 2014. He loved sports and was a fan of the Celtics, Patriots, and Red Sox. He enjoyed watching his kids and grandkids play all sports at all levels.